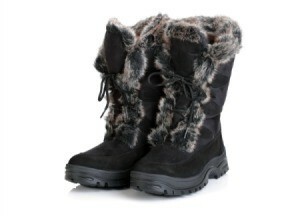 Choosing when and where to buy your winter boots can help you save money on an otherwise pricey item. This is a guide about saving money on winter boots. I'm in need of buying winter boots for myself, the ones I have now are not warm enough. I'm on a extremely tight income, so I can't just buy a new $50-100 pair. I would like to buy some second hand or gently used, but I want a pair that will last me a long time and keep my tootsies nice and warm :) What is something to look for in buying new boots for winter? Any other advice would be appreciated too :) Thanks so much people. Check thrift stores and Ebay. You should be able to find boots...also check department stores. They mark stuff down in stores and online really cheap. There is a website where people give away unwanted items that are in good shape. www.freecycle.com Check it out. There seems to be one in every area. It's free. You have to have something to give away first, but it can be anything...a magazine, a pair of socks, anything. People give away bags of clothes, furniture, boots, etc. and it is all free. All you have to do is reply to the posted offer and pick up the item... fantastic sharing service.